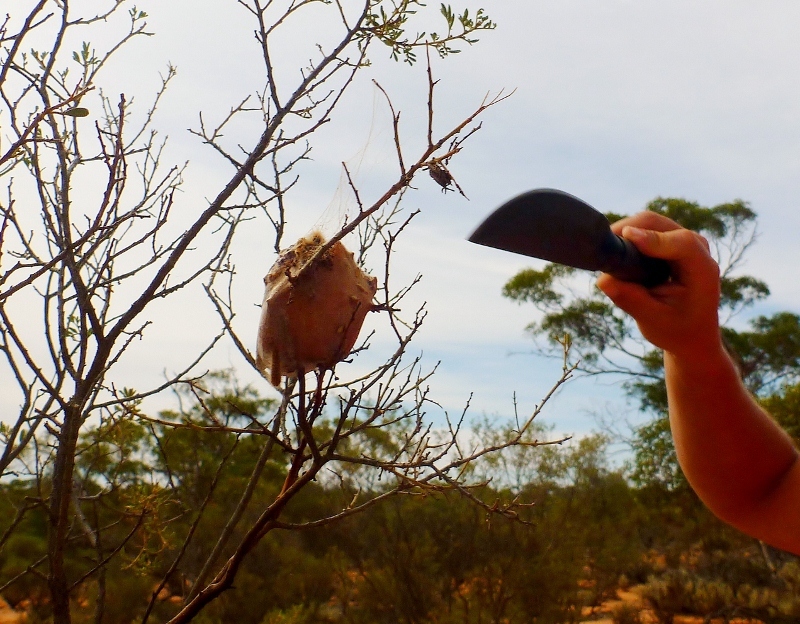 Have you ever been travelling through the Australian outback and been puzzled by the sight of peculiar sack or bag-like nests hanging from trees? I know I was. I first saw them travelling along Googs Track through the Great Victoria Desert. I had no idea what they were. Some weird little desert bird that nests in these bizarre bags? 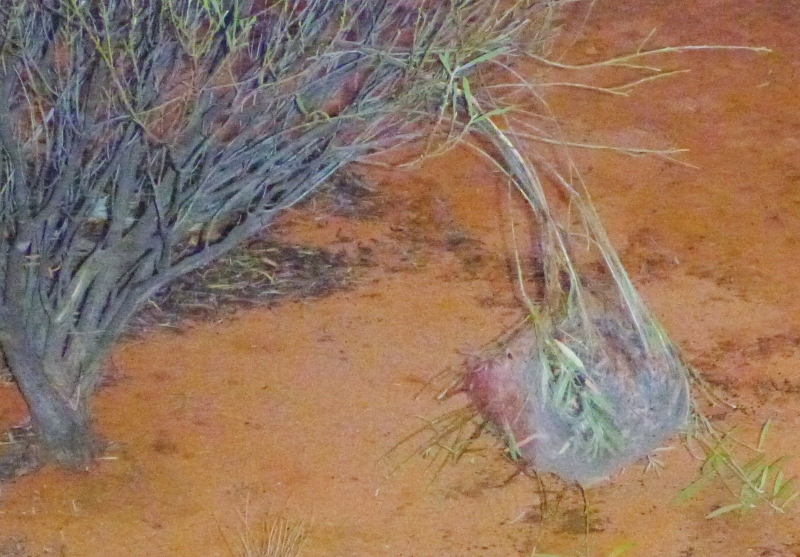 Maybe strange exotic ants only found in Australia that build sack-like nest in trees? I saw some spider’s webs around some of the nests. Could it be a rarely seen outback spider? I spotted dozens of these sacks in the outback. Some areas were inundated with them. I’ve always wondered what they were. Turns out they are caterpillar nests. The species is known by several names: hairy caterpillar, itchy caterpillar, bag shelter moth and processionary caterpillar. The scientific name is Ochrogaster lunifer. These caterpillars are covered in hairs which are known to cause itching and irritate the skin. In sensitive individuals, the hairs can cause a rash or hives that can last several weeks. 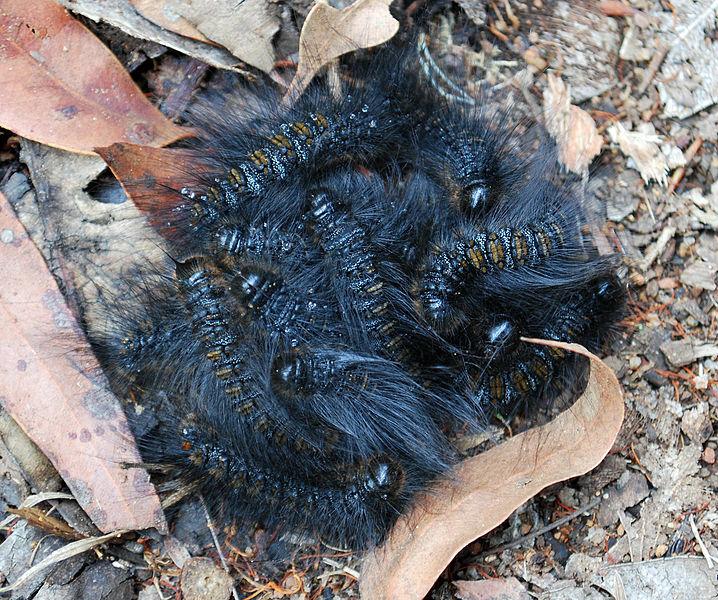 The moths that these caterpillars morph into are also covered in similarly irritating hairs. It is thought that these caterpillars may be responsible for causing miscarriages or abortions in horses. This theory has not been proven and the mechanism for such an effect is not known. 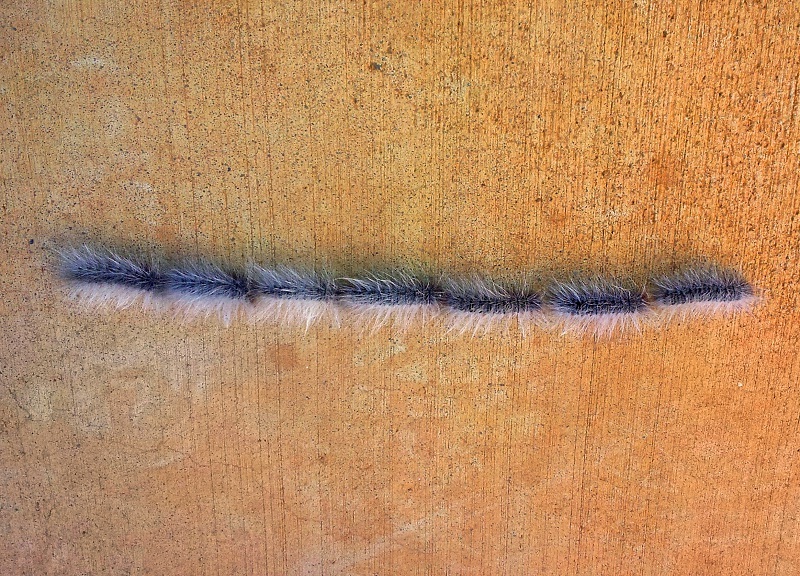 The common name of processionary caterpillar has come about because these caterpillars have a tendency to follow each other head to tail in a line. They leave a silk trail in their path which fellow caterpillars can’t resist following. The caterpillars build the sack-like nests generally in the branches of acacia trees in arid regions of Australia. The caterpillars are nocturnal, retreating to the nests during the day and coming out at night to feed on plant material. Approaching a nest is not recommended. Even the tree and adjacent bushes can be covered in hairs and have the potential to cause irritation. When faced with starvation, Aboriginal people of central Australia would endure the itching and harvest the caterpillars for food. It was a last resort. The caterpillars would be roasted on hot coals, I’d assume singeing off the irritating hairs in the cooking process. So the mystery of the weird sack things on tree branches has been solved. Be sure to stay away from these irritating bags of hair when travelling through the Australian desert to ensure you are a happy camper, lest you become an itchy, hive infested camper.